Describe how and why extruded aluminum has become a popular material for interior design. Summarize and discuss the sustainable features and performance characteristics of aluminum. Discuss the various profiles and finishes that are available for extruded aluminum. Explain how extruded aluminum trim can be used to improve and enhance drywall surfaces in multifamily residential projects. While extruded aluminum trim has become a popular material for a building’s exterior—usually as cladding or a facade—it is also increasingly being used indoors to change the face of drywall construction. Extruded aluminum trim provides a high-quality, practical material that can be used to create a featured design and focus in a space. The variety of shapes, forms, and profiles provide designers with a material that has the appearance of fine metal craft, and that can be seamlessly integrated with drywall and panelized surfaces for significantly less than custom metalwork. Moreover, extruded aluminum trim is easy to install. It provides a clean look and works well with modern designs. This section will provide an introductory overview on how and why extruded aluminum trim has become a popular material for interior design. 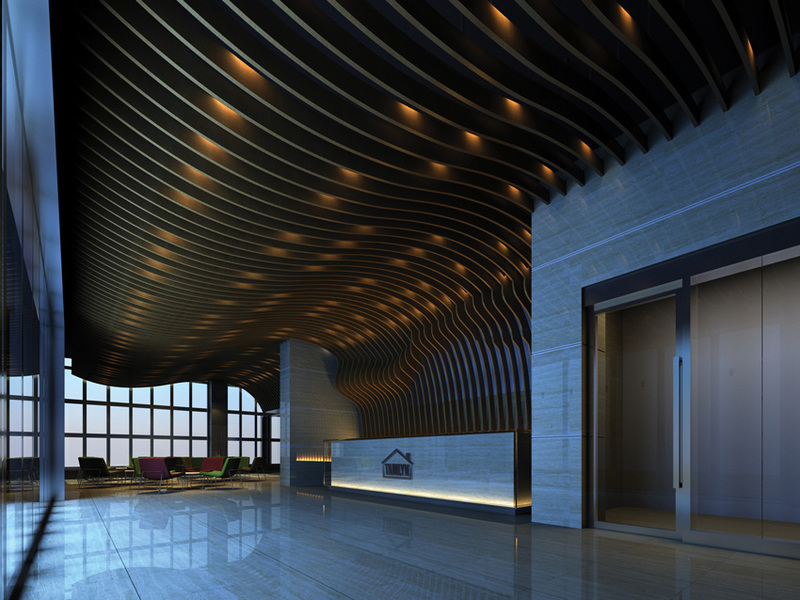 Detailing needs to meet an architectural design aesthetic along with meeting durability and sustainability requirements. Extruded aluminum trim interior products can help meet all of these needs. 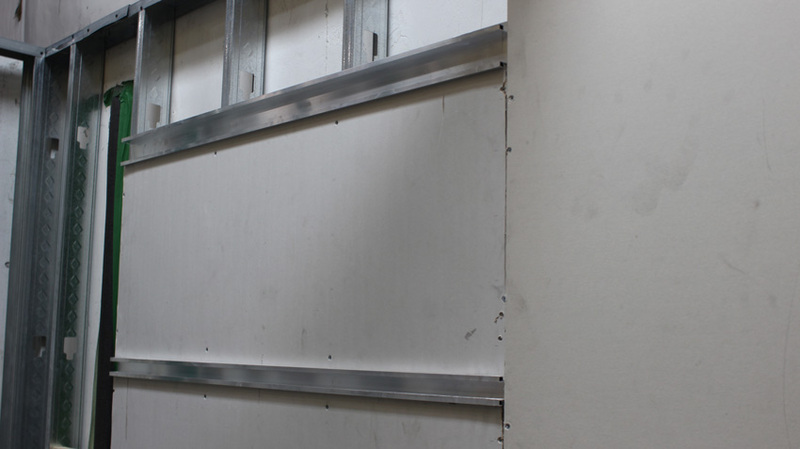 The practice of using 5/8-inch-thick drywall on metal studs is still considered one of the easiest and most cost-effective ways to define interior spaces. It’s simple to install and also easy to remove. Not surprisingly, it is very popular in projects where designers and architects face the challenges of balancing cost, schedules, and client design goals. 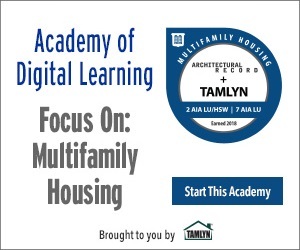 Multifamily residential projects are no exception. When it comes to drywall interiors, multifamily residential projects have a unique set of challenges. In particular, these buildings are subject to much more wear and tear than single-family homes because of frequent occupant turnover. When tenants move in and out of the units, there inevitably will be drywall damage from oversized items that puncture walls, chip corners, damage overhead archways, and otherwise impact the wall surface. Repairing or replacing damaged surfaces can be costly, but leaving them untreated reflects poorly on the overall property. The trick is to design the space with materials that provide modern architectural design aesthetics while accounting for the bumps, bashes, and dents that come with tenants. One area where designers can keep drywall looking good is trim details. Trim products in general are made of a wide variety of materials, depending on the application. Some of the more commonly used materials include polyvinyl chloride (PVC), wood, rubber, and aluminum. Each material has its advantages and disadvantages, and some trim materials are better for certain applications than others—some are also more costly than others, and so they may not be the best choice for multifamily residential projects. When it comes to cost effectiveness and durability, though, extruded aluminum trim offers a sleek, modern aesthetic that can help multifamily residential projects keep costs down. We’ll discuss those qualities in the next section. 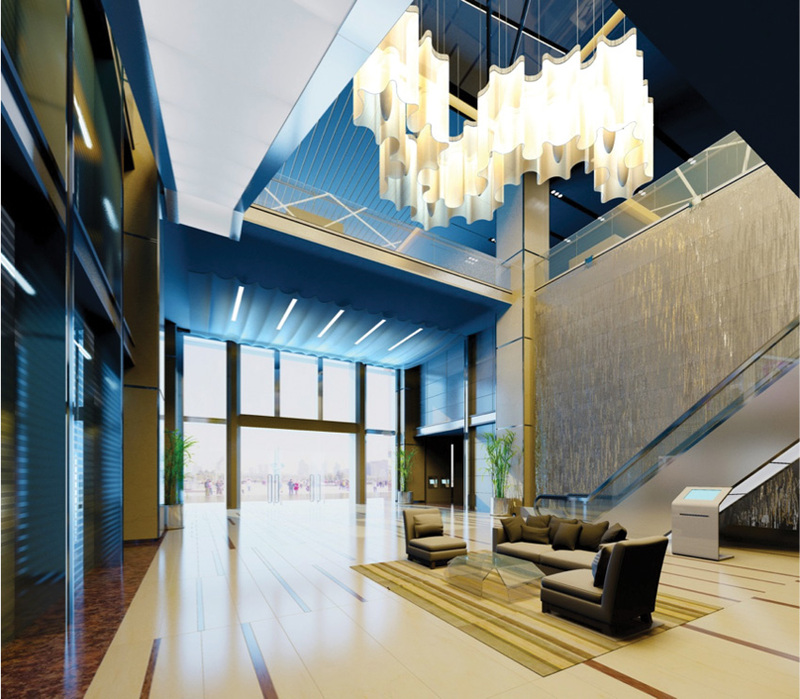 As an interior design material, extruded aluminum trim is considered a top performer for many reasons, but particularly because it is lightweight, inexpensive, and is aesthetically pleasing. This material is versatile and can be used in place of more expensive metals to provide high-quality details on drywall surfaces that both meet a designer’s aesthetic eye and protect drywall with a strong, durable material. Extruded aluminum is also easy to install, which can drastically reduce project times and costs compared to more custom metalwork. Extruded aluminum trim is lightweight and easy to install, and it greatly enhances both the aesthetic design and performance of a drywall surface. Before we go any deeper into the performances characteristics of aluminum, it helps to get a better sense of how design trends have changed recently with the two key demographics moving into the multifamily residential market, and how that impacts material choices for drywall interiors. Baby boomers and millennials have had an impressive impact on multifamily residential properties, not only in terms of the features and amenities, but also in the meaning of the space. Apartments and condominiums are no longer just places to live, but rather they reflect—and sometimes provide—aspects of the occupants’ lifestyle. For example, new building projects may incorporate ways to promote community through shared indoor or outdoor spaces. And building occupants value their individual residential units as a way to highlight their unique style. Many developers are taking on a “resident-first” tactic to project design, and that approach includes elements of a new modern design aesthetic. One trend that lends itself well to extruded aluminum trim is “mixed-material” design. Millennials in particular tend to be happy to mix older, more rustic materials with sleek, modern looks. Aluminum trim is versatile enough that it can accomplish either look: a clear anodized finish, for example, can keep the natural metal look, or a custom powder coating can add a splash of color into a space of plain drywall. Also worth considering is dwelling size. Baby boomers are in their downsizing stage of life, and millennials tend to be minimalists, so both demographics benefit from creative techniques that can fit added design features into the structure of the space. Walls that look like they are floating or with deliberate shadow lines built in, for example, can add a unique look to a small apartment or condominium unit. This attention to detail can make a multifamily project stand out from other buildings and help draw tenants. As we will see, the variety of aluminum trim profiles and finishes can play an important role in a design while keeping projects within a fixed income or renter budget. Millennials and baby boomers make up the highest percentage of multifamily residential occupants. Extruded aluminum trim interiors can meet the modern design aesthetics of both generations and everyone in between.